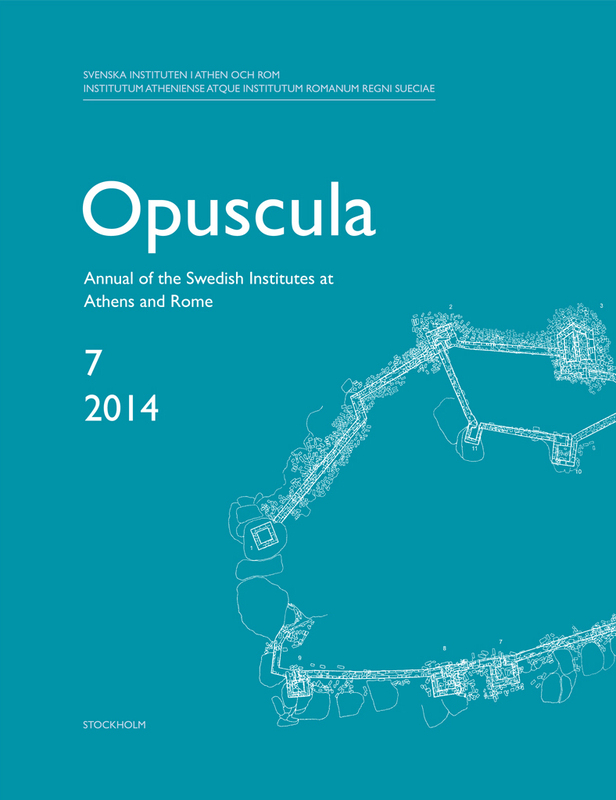 Opuscula 7 is now available for purchase and free download at Bokorder.se. Also available at Amazon.com, Amazon.de, Bokus.com and Adlibris.com. This article is divided into two parts. In the first part, preliminary reports on the archaeological work conducted at the sanctuary during the years 2012 and 2013 is presented, and in the second part, two conservation projects are discussed. 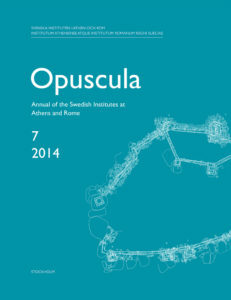 The first part includes a description of the excavations at the Split Rock by Lars Karlsson, an account of the excavations on the slope of the Monumental Tomb, a description of the work at the Akropolis Fortress gate by Baptiste Vergnaud, and a synopsis of the work at the M-Building. The second part starts with a report on the preparations for the stabilization of Andron A and continues with an account of the last two years of marble conservation by Agneta Freccero. The final report on the Exedra of Demetrios on the Temple Terrace will be presented separately in the Appendix by Fredrik Tobin. A new drawing by Jesper Blid Kullberg, presenting a restored view of the sanctuary at the beginning of the 4th century AD, is also published here.